Food is one of the most important parts of any of our trips. Our trip to NYC was no different. 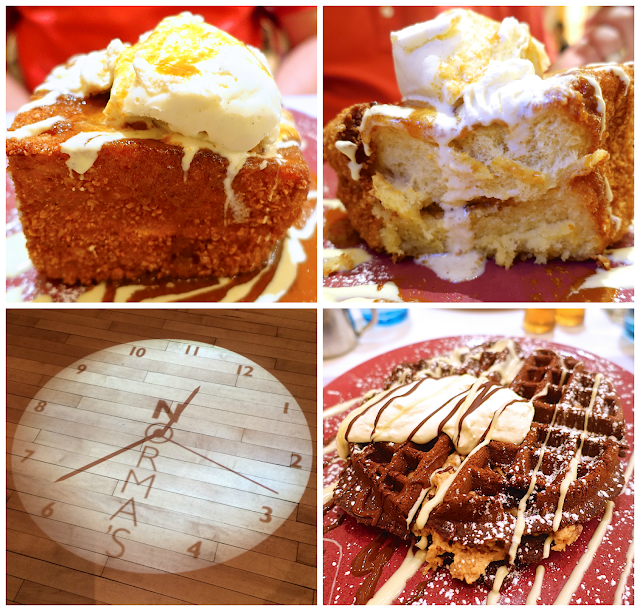 We went to a few favorite spots and tried several new places. We found some great food! It is a good thing that we walked a lot on our trip because we sure did eat a lot! 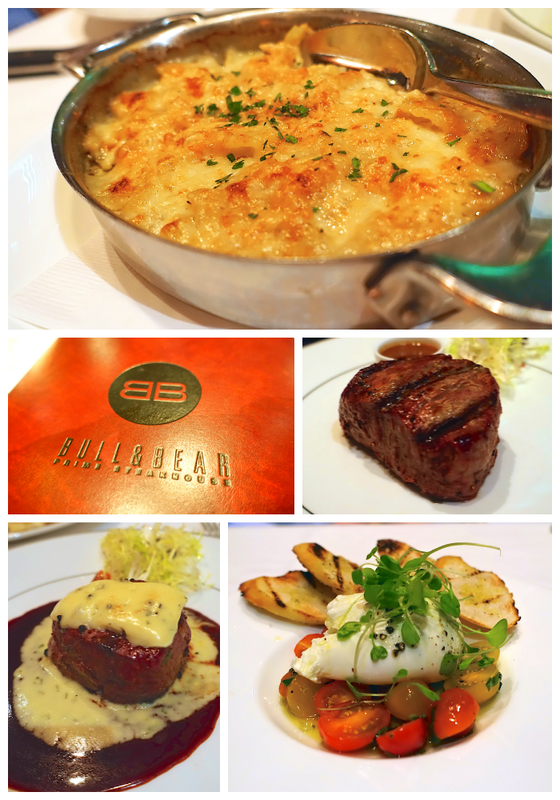 We ate at the Bull and Bear Steakhouse after we went to the magic show at the Waldorf Astoria. This was the first time that we had eaten here. We had a drink in the bar on another trip, but didn't eat dinner. We got a great table next to the window. We ordered the Burrata and Tomato Salad to start. For our main dish, Chicken Legs got the filet and I got the Beef Tournedo crusted with blue cheese béarnaise and bordelaise. It was all fabulous! The restaurant was pretty empty on our visit. Hopefully it will be a little more lively next time. We walked down to The Plaza for lunch one day. I read about the Food Hall and we wanted to check it out. Chicken Legs got a Lobster Roll from Luke's. I got a Andouille Sausage on a pretzel bun from Todd English. For dessert we split a piece of Caramel Almond Cake from William Greenberg Desserts. The Food Hall is AMAZING! SOOOO many choices. It is like a super fancy food court. We could have eaten lunch here everyday. We will definitely come back on our next trip. We've had cupcakes from Magnolia Bakery on previous trips. They are OK. 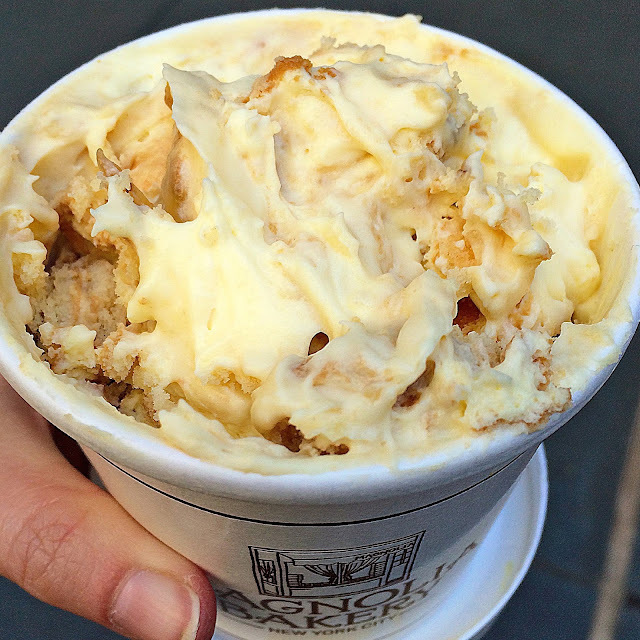 This time we decided to try the Banana Pudding. OMG! SO good. Milk Bar was on my list of places to try. Their Crack Pie is legendary among foodies. We stopped in on West 56th Street. 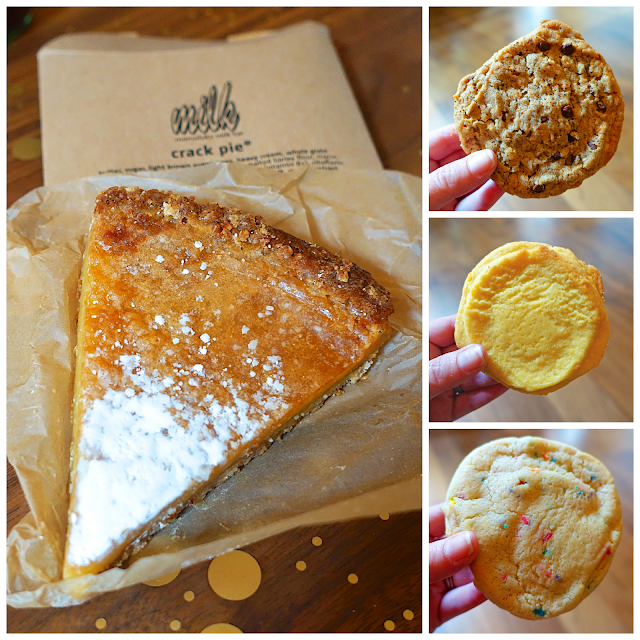 We got the Crack Pie, Compost Cookie, Corn Cookie and Confetti Cookie. The Crack Pie was good - tasted like gooey butter cake. The cookies were OK. I wouldn't rush out and buy them. Everything was prepackaged. It wasn't baked fresh and in a case. Not sure if it is like this at every location. Glad we tried it, but it wasn't something I would eat on every trip to NYC. 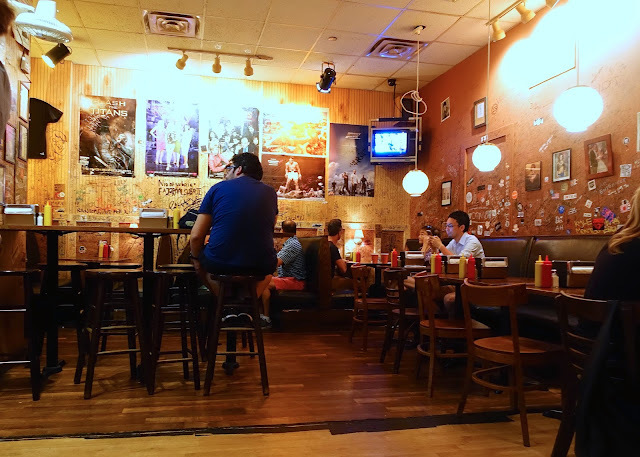 Patsy's is one of our favorite places to eat in NYC. We always eat here at least once on every trip. We had reservations at Patsy's on our first night in NYC. The hotel drove us to the restaurant. We walked up to the restaurant and TONY DANZA opened the door for me! I said Hey! It's Tony Danza! Chicken Legs said Who's The Boss? She's the boss. Tony said to Chicken Legs I bet she is. LOL! Back to the food! We ate at Patsy's twice. We started with the Fried Mozzarella both times. It is so good. For entrees, we got Spaghetti and Meatballs (A Neapolitan classic—veal meatballs seasoned with garlic and cheese, served with a tomato basil sauce), Veal Rollatine Marsala (Stuffed with mozzarella, Parmigiano-Reggiano and prosciutto in a sauce of Marsala and mushrooms), Pork Rollatine (Bacon-wrapped pork scaloppine stuffed with mozzarella and prosciutto – roasted and finished in a reduction of pan juices and white wine) and Stuffed Pork Chop with Vinegar Peppers (Stuffed with mozzarella and prosciutto - oven-roasted with sautéd garlic and cherry and vinegar peppers). Everything was delicious! Patsy's is old school Italian at its best. Everyone is so friendly! 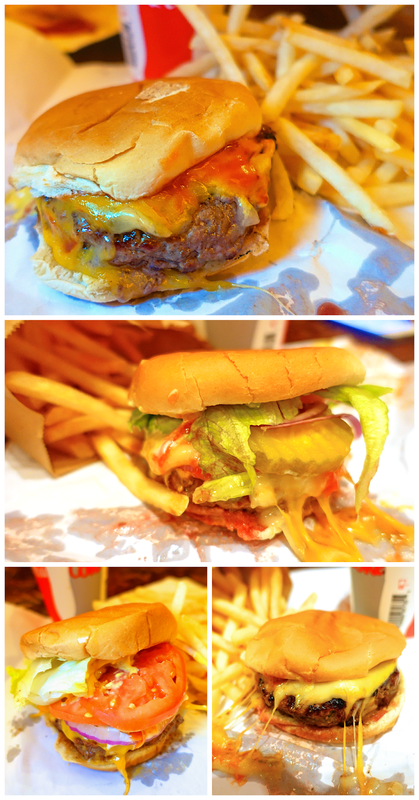 The Burger Joint is one of the best burgers around. It is in the Parker Meridien hotel - behind a curtain next to the check-in desk. We ate here twice on our trip as well. Our first meal and our last meal in NYC. The menu is simple - burgers, fries, drinks, beer, wine, milkshakes and a brownie. The last time we were here, they only took cash. They now take credit cards. There is usually a line, but it moves quickly. 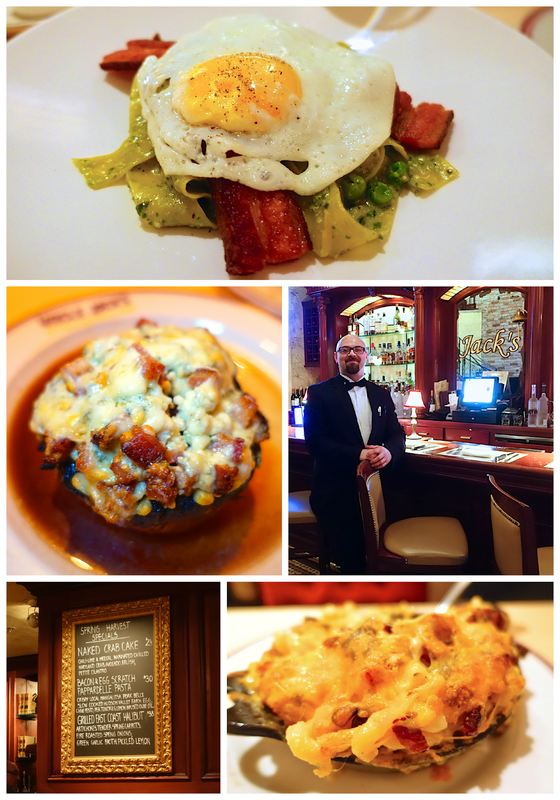 We were looking for a place to eat lunch one day, and decided to do brunch at Norma's. Norma's is in the same hotel as the Secret Burger Joint. You need a reservation to eat here. They will turn you away without one. There are SO many great choices on the menu. Chicken Legs went all out and got the Donut Even Go There French Toast (Cheesecake-Stuffed, Coconut-Rolled with Orange Drizzle and Vanilla Ice Cream). It was INSANE!!! I got the PB&C Waffle ‘Wich (ChocolateWaffle with a Peanut Butter and Toffee Crunch Filling). It was heaven. I wish I could have eaten the whole thing, but it was huge. Norma's was a lot of fun! Give it a try. Uncle Jack's was a wild-card pick for us. We almost didn't eat here. We are SO glad that we did. It ended up being the best steakhouse we've ever eaten at. We split the entire meal. We started with a seasonal pasta - Bacon and Egg Scratch Pappardelle Pasta (crispy pork belly, slow cooked farm egg, chive pesto, peas and olive oil). It was delicious! For the main dish, we split a big ol' filet topped with bacon and blue cheese. For the side, we got the bacon mac and cheese. The steak was cooked to perfection, and I'm still thinking about that mac and cheese. Our waiter, Andre, was great. He took great care of us without hovering. We told him we would be back and ask for him on our next trip! 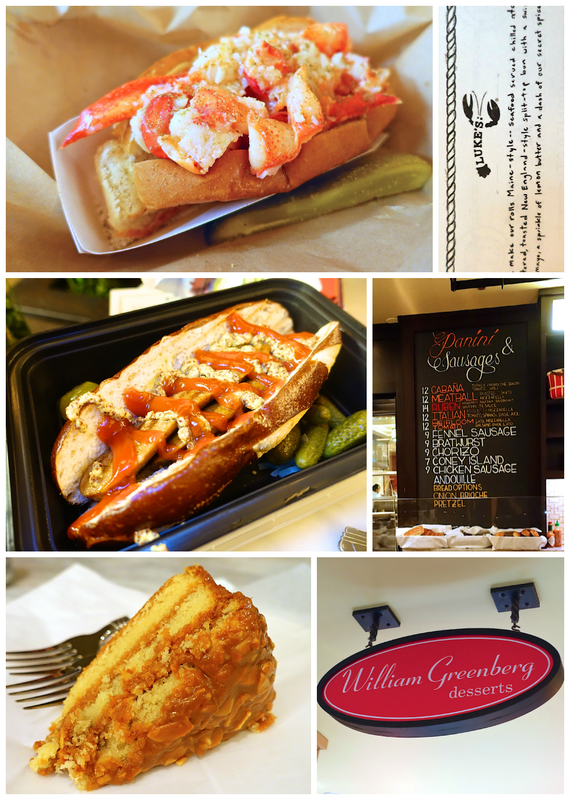 What are your favorite places in eat in NYC? Tell us your favorites so we can check them out on our next trip! I was so excited to try Milk bar when I went to NYC the first time and I was disappointed that all of the treats were premade. Honestly their cookie mixes turn out so much better than the cookies they sell at their shops, I recommend the Cornflake and Marshmallow cookies! My favorite restaurant in NYC is Mercato. 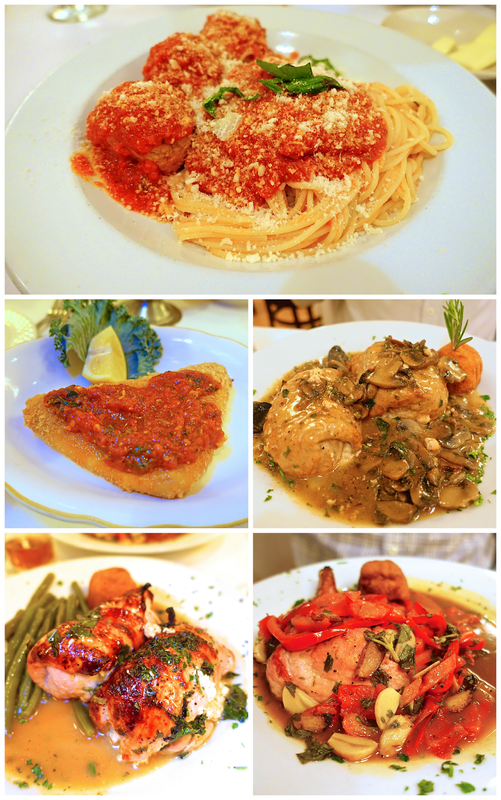 It's a small little Italian place in Midtown, right near Times Square, and their food is PHENOMENAL! Oh and I also really like The Smith! I've had that French Toast from Norma's and it is LIFE CHANGING! SO so good!! I need to get to the Burger Joint for sure! And isn't the Food Hall so fun?! I want everything you had!!! We love Frankie and Johnnie's Steakhouse. Their steak is fabulous!! We also love the Shake Shack for a burger! !